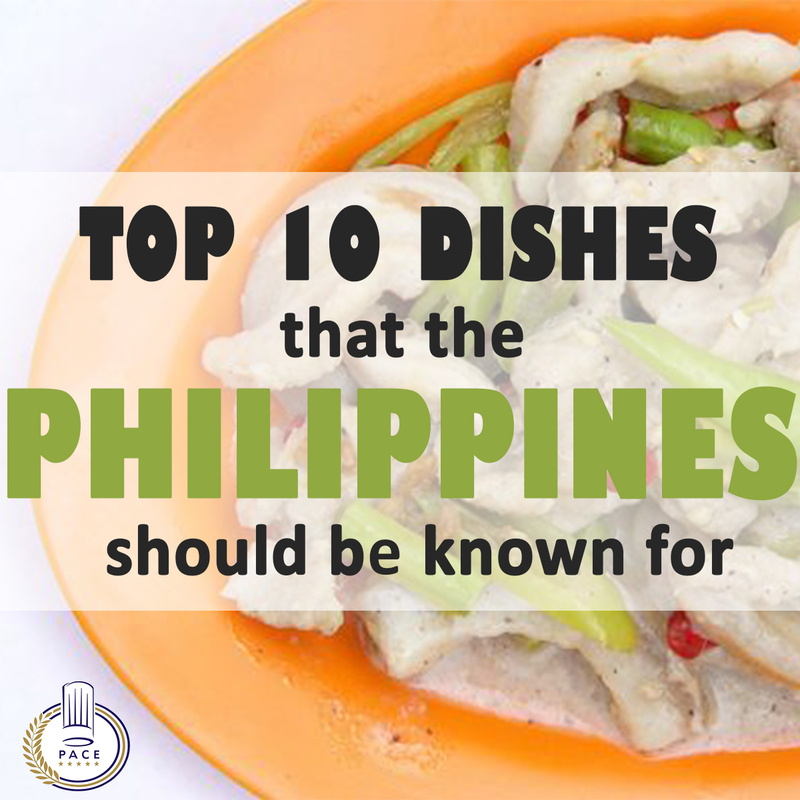 “Top Ten Dishes That the Philippines Should Be Known For” is an advocacy project initiated by PACE. The goal of this project is to promote appreciation and sense of pride for authentic Filipino cuisine. As a nation of 7,107 islands and more than 170 languages, we are known as a melting pot of cultures as an effect of centuries of colonization. The influence of the Europeans, Americans and Asians who have set foot in our country for centuries have left an imprint in our culture and our food. While our neighboring countries like Thailand, Singapore and Vietnam has more distinct dishes than us, PACE believes that Filipinos deserve a cuisine of our own. It is a fact that Filipinos love to eat and explore new cuisines but we owe it to our culture to take pride and patronize our own dishes. PACE as an educational institution would like to focus on a massive information campaign which seeks to find out the top 10 dishes that Filipinos should be known for. This should set a springboard for PACE to launch these list and educate Filipinos by tracing the roots of the dishes they voted for and provide the public an authentic dining experience featuring the winning 10 Filipino dishes. We at PACE would like to keep our heritage and our local recipes by sharing to the public our own cuisine. We believe that through this campaign, we can bring back more interest and support for our native dishes, prepared in its original form as our legacy to the current generation and the next. Help us gather the best dishes Philippines should be known for! What is YOUR FAVORITE Filipino Dish?